She started out with a dream to write a single quilt book. That first book has sold nearly 250,000 copies and is Martingale’s best-selling book of all time. She’s written 15 more books during her career. She’s a master appliqué teacher, and she’s taught her techniques to quilters around the United States for more than 20 years. She is the “founding mother” of the Baltimore Appliqué Society. 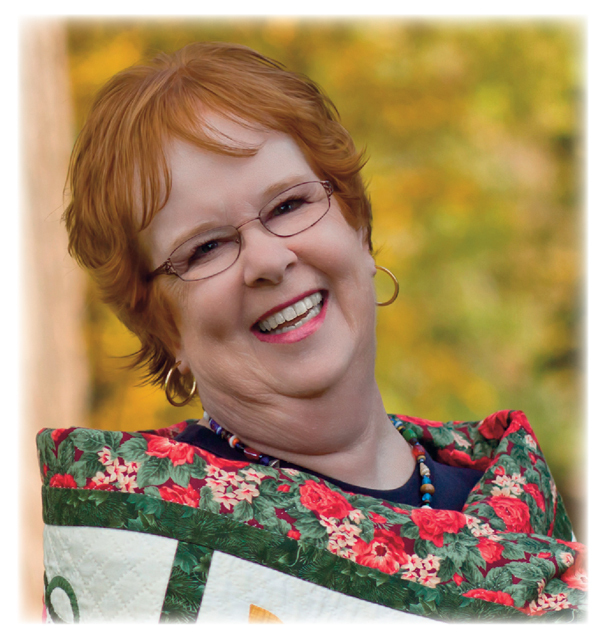 That first quilt book was Happy Endings, and the 2015 Quilters Hall of Fame inductee is…Mimi Dietrich! On July 16–18, 2015, the Quilters Hall of Fame in Marion, Indiana, will honor Mimi’s many accomplishments with a weekend of quiltmaking fun. We got in touch with Mimi to ask her about the upcoming celebration. Here’s what she had to say. How does it feel to be inducted into the Quilters Hall of Fame, and what does it mean to you? Mimi: I feel overwhelmed! When I look at the list of honorees before me, I realize that many of them are teachers that got me started (in person and on TV), magazine editors that brought quilts into my home, and quilters who brought the quilt world together. My favorite honoree is the very first, Dr. William Rush Dunton. He wrote a book about Baltimore Album quilts, and he lived in my hometown. I feel grateful and blessed to be honored for doing something I love. It’s amazing! Mimi: My books with a Baltimore theme are my favorites because I live in Baltimore. My Pink Ribbon Quilts book is also a favorite because it touched quilters with breast cancer. My A Quilter’s Diary book is right up there, too, because it got quilters to think about their lives and how to tell personal stories with quilt blocks. Mimi: I teach a yearlong Baltimore appliqué class. I love it because the students really get to know each other and become friends. I feel like we’re re-creating history in the place where these quilts were first made. Oh, and my students also learn a great variety of appliqué techniques! You’re a world-renowned quiltmaking teacher—in fact, you were named Teacher of the Year in 2013 by Professional Quilter magazine. In all your years of teaching, what one experience stands out as the best? The worst? The funniest? Mimi: The best moments are when when I realize that quilting is more than just stitching, when I realize that students take my class to help them get through bad times in their lives, and when I realize that I have made a difference in their lives—and they have made a difference in mine! The worst moment was when too many quilters showed up for a class at a guild. There were not enough chairs, tables, or handouts. Nobody would admit they hadn’t signed up. We just got off to a rocky start. I like to be organized! The funniest moment: the night my friend and I were teaching at Quilt Odyssey, wearing our cute little pink quilter’s shirts, and we got into a hotel elevator. We were surrounded by big men in black leather and tattoos…the Lynyrd Skynyrd rock band! We talked about their grandmothers making quilts. It was a great story to tell in classes. You were quilting before it was cool—and now it’s ultra-cool! What do you think of the new surge of modern quilters who have caught the quilting bug? 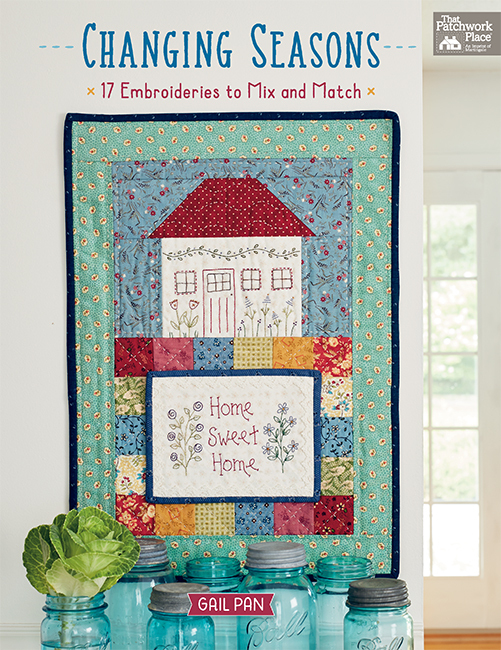 Mimi: I love the modern quilters and their designs! They still use traditional elements but design patterns that make it easy to create quilts in this busy world. What do you see in your future as a quiltmaker, and what do you see for the future of quilting? Mimi: I’m not traveling much anymore, but I’m still teaching my yearlong classes in the Baltimore area. I want to keep this beautiful tradition alive in the place where it started. It’s hard to imagine what’s next in the future of quilting. I think traditional quilts will always be with us and will inspire new designs. Lately, I’ve been amazed at hexies and English paper piecing designs—love those Millefiore designs—and they’re really all based on the quilts I know as the traditional Grandmother’s Flower Garden. It’s wonderful to see what new creative ideas are out there! We send many congratulations to Mimi for receiving this honor from the Quilters Hall of Fame. Thank you for continuing to inspire us all these years! The mission of The Quilters Hall of Fame is to celebrate quilting by honoring the accomplishments of people who have made outstanding contributions to the world of quilting. You can learn more about the organization here. You can visit Mimi online at mimidietrich.com. Have you taken a class, bought a book, or been inspired by Mimi in some way? 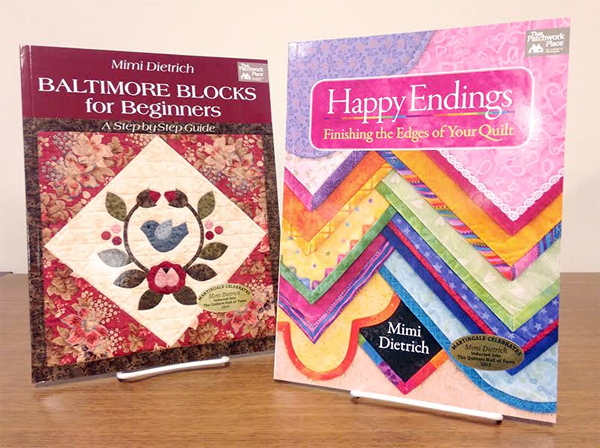 Leave your stories and congratulations for Mimi in the comments and you could win a copy of two of Mimi’s popular books: Happy Endings and Baltimore Blocks for Beginners! We’ll choose a random winner one week from today and let you know by email if you win. Linda, we’ll email you about your prize. Congratulations! I have not taken a class from her, though I would love to. I’ve been a long time fan of her work. I haven’t taken a class from Mimi but would love to. I love applique by hand. She looks like a great teacher. Congratulations, Mimi! Happy Endings is on my ‘must have’ list of quilting books. Mimi’s books and patterns are top notch and her induction into the Quilters Hall of Fame is well deserved. Love Mimi’s Happy Endings book! Congratulations to Mimi! I haven’t had the pleasure of taking an "in person" class, but her books are great! I have not done any of Mimi’s applique as yet, but I have adored it from afar. Would love to have one of her books and get started! Mimi has been an inspiration to me for a long time. Congratulations on her success. I do not have any of Mimi’s books but would love to have one. I haven’t done too much applique, but when I do I iron on the pieces and machine stitch around them. Thanks for the opportunity to win a book. I enjoyed reading about Mimi. Congratulations to her for being inducted in the Quilters Hall of Fame. I haven’t read or made anything from Mimi’s books, but would love to have one and start a quilt! I have taken 2 classes from Mimi, her beginning Baltimore Album block class and her year-long Baltimore Album class. She is a wonderful teacher and a warm, caring individual. She totally deserved Teacher of the Year last year, and the induction into the Quilter’s Hall of Fame this month. When she teaches, she makes you believe you can do anything, and it turns out that you can! 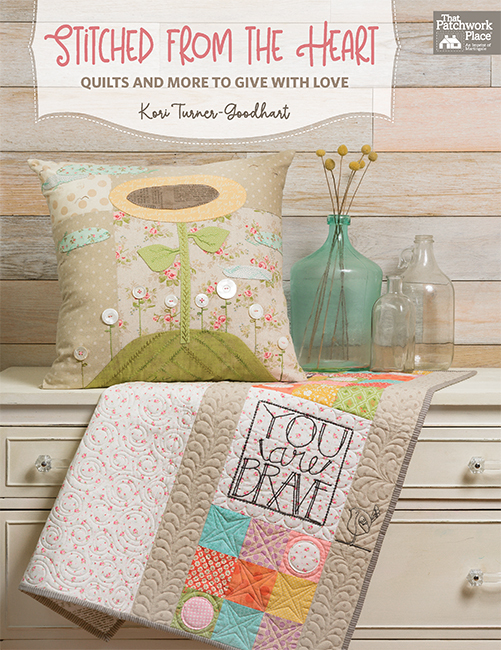 She encourages you to make the quilt "your own" and loves to see her students grow in both abilities and confidence, and inspires you to be both traditional and creative at the same time. I already own both of the books in this giveaway, so if I win them, I will give them to another beginning quilter to get her started on her applique journey. Congratulations to Mimi!! Attending a class taught by Mimi has been a dream of mine for a long, long time. In my opinion, she is the absolute mistress of this technique! I’m so glad she is receiving the recognition she so richly deserves! Keep inspiring us, Mimi! Mimi is the reason we have so much fun quilting. We need the teachers to show us how! Congratulations Mimi. I have not, but Im going to her site right now! Great job on earning this! I have not tried my hand at any of the beautiful Baltimore applique blocks. This is something I was never sure I could do, but I should add this to my list of techniques to try. Mimi’s Happy Endings book is also very inspiring. Congrats! You do beautiful work. I’ve met Mimi at shows, and she has spoken at our guild. She is always very friendly, and upbeat. She has a wonderful sense of humor, and is a great teacher. Congratulations, Mimi. I’m so happy for you! I would love to try the beginner designs, I have always admired her quilts. great choice for the QHoF! I am a beginner to this fine craft and Mimi’s designs are so inspiring. When I was researching the information, I came across her work and just knew I had to be like her! Congratulations to Mimi! When I first began my quilting journey I was drawn to applique. Mimi’s book, "Baltimore Bouquets", is one of my favorites because of the use of ruching, tucks, gathers and folds to give beautiful dimension to applique. Contrats Mimi !!! I have not taken any classes taught by Mimi, but thinking about moving to Baltimore for a year, lol. I also have not purchased any of her books. However, I fell in love with applique three years ago after taking a class taught by Karen Kay Buckley. I am very inspired by this interview, and since making a Baltimore quilt is something I have been thinking about, I will be turning to Mimi’s books for directions. I love quilt teachers who are truly on a mission to share their knowledge with other quilters. I wish I could meet Mimi and maybe take a class someday. Congratulations, Mimi! You have certainly made a difference in the quilting world and your tenacity to keep doing your class assures that the multiplication of you talents will continue to bring fresh ideas and growth to all the lives you touch. I recently took out a number of Mimi’s books from our library. One of them is "The Quilter’s Diary, Written in Stitches." It is an inspiring book. I also have some that I own, and refer to often. How wonderful to take a year long class in applique from Mimi Dietrich!Congratulations, Mimi, and thank you for your inspiration and teaching! See you in IN. I’ve loved every class I have taken with you and am proud to call you a friend even if we only see other once a year. Oh I would love to win – I’ve tried a little applique but have been afraid to try something as daunting as a Baltimore Album Quilt. Would love to try though! Twenty-six years ago I took a class from Mimi. I was a beginning quilter. I had been sewing clothing for myself for 30 years by then, but had little knowledge about quilt making. The class was on finishing the edges of your quilt. I had been doing it all wrong. In class we made a mock-up corner of a quilt with attached binding out of construction paper. I still have that sample today. It is tucked in my copy of the original Happy Endings book which Mimi signed (1989). I have made many quilts since then. I have even won several ribbons in the Dallas quilt show. I refer to Mimi’s book when I want to use special techniques to add pizzaz to my quilts. Thank you, Mimi for lighting that spark in me. I’ve taken a class on Craftsy that she taught! Congratulations Mimi, you are an inspiration to us all. I’ve never been fortunate enough to take a class from Mimi, nor have I been able to buy one of her books. I have wanted her books for a while though. Congratulations Mimi! Congratulations Mimi! You taught me to to continue my quilts all the way through to my binding. Her books are a visual delight combined with practical tips. Congratulations, Mimi! I’ve always been intrigued by Baltimore quilts. Thank you for insuring that they’ll continue to be there! Congrats to Mimi! I love her funny story about the Lynyrd Skynyrd band! I would love to take her year long applique class, but since I’m too far away, I took her Craftsy class, which was wonderful. I also have a few of her books. Congratulations Mimi! It’s a wonderful honor that you so deserve. I love that you included your students quilts as well. That is a sign of a great teacher. And I absolutely love the Lynyrd Skynyrd story. Congratulations to you, Mimi, on your induction into the Quilters Hall of Fame. 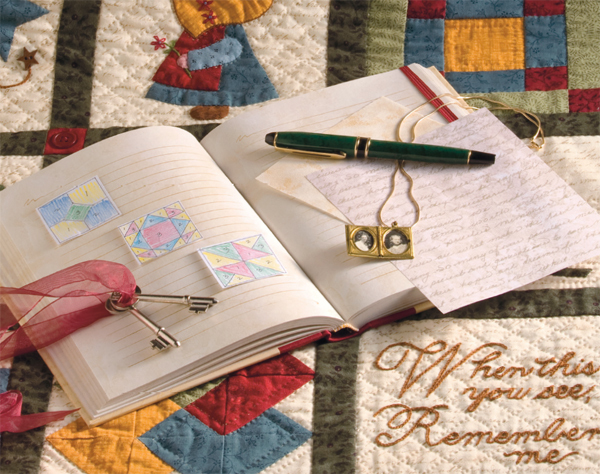 You are joining a remarkable group of quilters who have influenced quilting over the years. I would love either one of your books. The binding book would give me more ideas for creative finishes and the applique book for me (as a novice applique-er) would be a great addition to my library. Congrats to you Mimi. I love the way she teaches. I am in one of her Craftsy classes. Thanks for the chance to win these great books. Congratulations Mimi! When I first started quilting, bindings were always intimidating. With a few easy tips I now enjoy the final step in my quiltmaking! Congratulations, Mimi! It is about time your great teaching style and wonderful contribution to the quilt world is recognized! All the best and I love what you have taught me! Took a class from her years ago. Loved her. Happy for her recognition this year. I love Mimi’s work. Her applique is exquisite, well deserved award. Mimi inspired me to learn to applique. I have not made a Baltimore Album Quilt but never say never! Congratulations Mimi, a very deserved honor indeed. Your "Happy Endings" book is one of my ‘go to’ books. I have adapted some of your Baltimore patterns and done them by machine as my hands won’t do ‘hand’ (can’t hold a needle.) You have inspired me and many, many more. Thanks for giving to others. I haven’t had the pleasure of seeing any of Mimi’ s books yet. But congratulations to her on being chosen. I will check out one of her books soon. I’m so inspired by her work! Congratulations! Congratulations on your induction to the Hall of Fame Mimi! What an awesome accomplishment! And now you have inspired me to attempt this fine art! Wish me luck! I am a beginner and am just finding out about all of the talents of Mimi and other quilters. I have tried a couple of applique patterns. I will need to explore opportunities to be truly in love with it. Maybe these books will help. Congratulations Mimi! What an honor! I have Mimi’s Pink Ribbon Quilts, & have made a couple of the projects. Her handwork is amazing, & I love her patterns! My first book by Mimi is the "Quilts from the Smithsonian". I loved the historic information of the quilts, and, still today, I’m drawn to the historic aspect of quilts. Those women had so much to do and so little automation to help them. Her book, Happy Endings, taught me to love binding. Thank You Mimi, for my two favorite parts of quilting, history and bindings! Congratulations Mimi? I’ve enjoyed seeing your work for years. I wouldn’t allow my family to use a fine applique quilt for picnics, but you designed a line of "cheater" baltimore album fabric and borders – THAT quilt makes a beautiful quilt for a picnic in the park! Congratulations, Mimi. Your story is wonderful. Love that you’re teaching and passing on your love of quilting. Congratulations Mimi! Would love to learn your applique method. I find applique fascinating, but I haven’t tried it yet. Being a very new quilter, I had not heard of Mimi before today, but I would love to learn from her books. I absolutely love her book "Bed and Breakfast Quilts"! The quilts are fun to make and the recipes in the book are delicious! I think Mimi is a wonderful lady and I would love to know her. I love Mimi’s quilt book, Happy Endings. It is SO helpful and I have read and used it. Way to go Mini! Mimi inspires me through her quilting and enthusiasm for quilting and applique. We are so fortunate that she shares her talents and love for applique. I hope to take her year-long class in the future! Thank you, Mimi, and congrats on your well-deserved honor! Congratulations! Your Baltimore blocks are beautiful. I’m new to applique so your techniques are a big help. Congratulations on a well-deserved honor!!! Congrats to Mimi!I love Mimi’s quilt books, especially "Happy Endings". All of her Books are helpful and clear to read and use! A friend had Mimi’s book "Happy Endings" and I learned and applied her binding techniques. I have no trouble with bindings and don’t ‘fear’ them as some do. I hand applique and would love to work with some of her designs. Congratulations Mimi on your well deserved honor! Mimi sounds like just the kind of quilting teacher I’d like to learn from! She’s passionate, fun and loves learning from her students! I’d love to live next door to her! I have one of her books in my wish list and I’m hoping it will show up under the Christmas tree. Congratulations Mimi! Taking class with you and Norma at Quilt Odyssey every summer is really a highlight of our trip. Your talent, life, and friendship are an inspiration to everyone. We will see you in Indiana next week. Congratulations to Mimi, a well deserved honor. Her work is beautiful. I have never taken a class with her but hope she comes to my area so I can get a chance to take a class. Congratulations Mimi! I have not taken her classes at all but I really admire her work. I just purchased the eBook: Bed and Breakfast – With Rise and Shine Recipes by Mimi Dietrich. 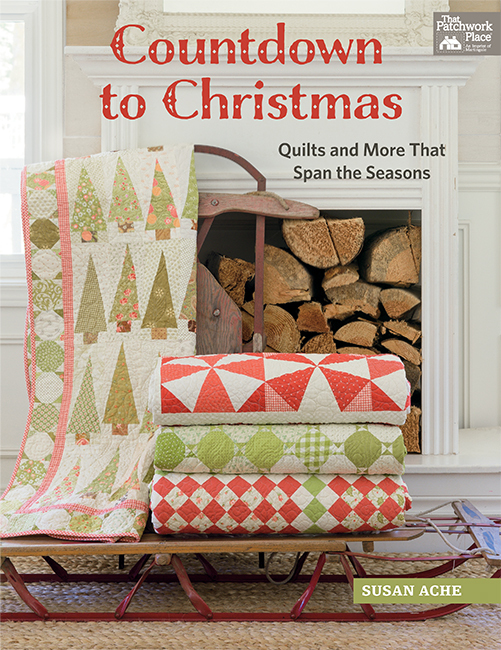 This is a great book with beautiful quilts and yummy recipes. The book itself is so pretty that you feel like you are visiting a lovely, welcoming bed and breakfast. Can’t wait to dive-in to a quilt project. And can’t decide which recipe to try first! I don’t have any of Mimi’s books, but I know I have some of her designs and patterns in some magazines and other books. I have admired her work for some time and think she is an obvious nominee for the Hall of Fame. Happy Endings makes me happy! Thanks, Mimi! What a wonderfully talented lady. I am pretty new at quilting, 3 years now,and I am interested in the art of the applique. I have done one table runner with appliqued blocks and I love it. I will be checking out Mimi’s books because I have committed to do an art quilt show in June 2016. Congratulations and love your work. Would love to have these books. I’ve used "Happy Endings" for many years. My copy doesn’t have the beautiful color photo on the front but it is still a wealth of information. Thank you for the chance to win. I had hoped to take this year’s class at Quikt Odessey, but alas, the class is filled-with a waiting list! Appliqué is not my strong suit. I could definitely use a good class next year I will sign up early! I am always looking for different ways to end my quilts. Both of these books would be great to win. Thank you. Mimi came to our guild years ago to teach applique and was a very big hit with everyone! I still have my project hanging in my longarm studio and get comments on it from many of my customers. I am so pleased to see her recognized for her many accomplishments. Okay … so where was your book Baltimore Blocks for beginners about 10 years ago….LOL… I have one going I really needed a book like that for! My hope is finish it in my lifetime. Congratulations on the books they look fantastic!!!!!! Not yet! But she sounds like a fun teacher. I love applique and Baltimore Blocks especially. Congratulations, Mimi! My quilt shop showed her book, Happy Endings today during the review of books. the pictures in there inspire me and I would love to win a copy for myself. If not, I may just have to purchase one! I have the Pink Ribbons quilt book. I love the look of applique but don’t do it nearly enough. It is relaxing to sit and work on and something I hope to pass on to my eleven year old daughter. She made her first quilt on the sewing machine this year but she needs to learn hand work as well. I’d love to take a class from her – she does beautiful work! I have been quilting for over 7 years and took my first applique class on line from Mimi just a couple of months ago. She made it so easy and understandable that I can’t seem to get enough. I am obsessed with applique and have made several wall hangings and a quilt in applique. I am ready to try a Baltimore quilt. I’m inspired by her after reading this article, but being new to sewing and quilting I have not bought many books. Warm congratulations, Mimi! Your books look so inspiring! Especially the Baltimore Blocks for beginners! Mimi’s Happy Endings book was one of the first quilting books I bought, many years ago and it is easily the most used (and useful) reference book I own! This is a wonderful giveaway and thanks for the opportunity to win! Congratulations, Mimi! What a well deserved honor. Thank you for sharing your expertise and inspiration with so many of us! I have not yet had the pleasure of owning/using one of Mimi’s books but would love to. I have not taken a class with her. I would love to learn from her. Congratulations, Mimi! Would I ever love to win these awesome books! Congratulations, Mimi! Your applique inspires many of us who thought we would only piece. You open new doors. Congratulations to Mimi! It is a well deserved honor. I have both "Baltimore Blocks for Beginners" and "Happy Endings". I refer to "Happy Endings" each time I begin making binding. Her directions are so easy to follow. Have always wanted to try a Baltimore Album quilt – winning the book would be a great start. Also, I "think" I do a good job finishing bindings but am sure I would learn some new pointers from an expert. I have not read or bought one of Mimi’s books but it is now on my to do list for sure. Congratulations Mimi…what a wonderful accomplishment and honor it is for you…Enjoy the moment because there are lots of we quilters with envy of you. Best wishes. Congratulations Mimi! Would love to win your books..
Congratulations to Mimi Dietrich! I have several of her books, but not the ones being given away. I’m hoping to win them to add to my collection. I so love and admire the Baltimore album quilts and bless Mimi for keeping the tradition going! Congrats to you and your award. It is very well earned. I would love to learn how to applique Baltimore Quilts and would love to have a copy of your book to help me learn. Thank you for the chance to win. Congratulations. Your books helped me with my applique. You inspire all of us quilters and artists. You rock! That is a well deserved honour Mimi – CONGRATULATIONS. I think there would be countless quilters who, over the years, have been influenced by her work — I really admire the precision of her work. I haven’t seen the Happy Endings book – I need it because I now realise that I end all the same!!! Congratulations Mimi! I wish I lived closer as I would love to take your year long class. I would love to win these two books! Thank you for the opportunity. Congratulations Mimi! Sad to say that I have never bought a book or taken a class, Guess I have been in the dark. WalMart does that to you. Congratulations! I’ve never met her but her books are great! Especially the one on binding your quilts! i was inspired by Mimi’s "Bed and Breakfast Quilts" book. Congratulations Mimi! I’ve just started quilting since I’ve retired. I have looked at quilts and wanted to make a quilt in the Baltimore style. Its on my list of quilts to make. Congratulations, Mimi! I have 2 of Mimi’s books – Tis The Season and Christmas Is Coming, and have enjoyed making several of the projects. I love Mimi’s straightforward approach to projects! What a wonderful honor to be recognized for your accomplishments while enjoying what you are doing! Congratulations Mimi! What an honor. Your work has been an inspiration to so many. I have always loved the look of hand appliqué, and Baltimore Album quilts are just gorgeous. My handwork, however, is awful. Still, I would love to try hand appliqué on a small scale some day. So far, I’ve only tried fusible and the interfacing technique. I have Bed and Breakfast Quilts, and love the classic designs. I’d love to win more of your books! I am a newbie and just learning applique. I have been teaching myself needle turn applique by watching YouTube videos and love it! I am going to put Mimi’s applique Craftsy class on my birthday wish list this year! Very excited to learn her techniques! I do recall perusing one of her books while fabric shopping a couple years ago. The patterns seemed a bit out of my comfort zone at the time, but it would be nice to win one of her books and attempt them now. Congratulations to Mimi and her students. I’m sure they inspire each other to excel with every project. If I had not been involved in another, I would have taken the class about bindings. And I am so drawn to applique – I have been collecting patterns to use in a Baltimore style quilt. Mimi’s work is just beautiful. Very inspiring. I would love to live in Baltimore and take her year long class! I have not taken a class from Mimi but would like to. Thanks for the great giveaway. Congratulations to Mimi!! I have been quilting since 1988 and have taken classes at local quilt shops based on your patterns/books. Learned a lot from Happy Endings! Love the Baltimore applique style and wish I was closer to be in one of your classes! I love Baltimore quilts! Thank- you for the giveaway and Congrats Mimi!! Congratulations. I can’t imagine anyone who deserves it more. I just wish Arlene Chase had lived long enough to finish her Baltimore Applique quilt with the neutral orange background. It is sad that Seminole Sampler is not around, I’m sure they would have had a big gathering for you to celebrate. I have had the first Happy Endings book for years now. Love it. I have an online class of Mimi’s that I haven’t quite finished yet. She is a fabulous teacher. Thank you for the chance to win two of her books! Congratulations, Mimi! This is a well-deserved honor. I have taken your Craftsy class "Finishing School: Edges & Binding." You are such a great teacher. I enjoyed every minute of it and have replayed several segments. Prairie points have found their way into some of my work. Thank you for making them easy. Enjoy your day of honor and best wishes for the future. To those who have expressed a desire to do Baltimore Album Applique – Mimi has written several books that give you a chance to try elements of a BAA but in a larger size with a simplified design. These books are still available on Amazon. Mimi is a great teacher and her books are like having her at your side whenever you need advice. I have always admired the look of Baltimore quilts, but must admit that I have never tried to make one. Maybe someday. Congratulations on your accomplishments and deserved recognition! As a relative newcomer to quilting, I’m clueless about most famous quilters. Happy to meet you and congratulations! Congratulations Mimi. Your work is beautiful! The Happy Endings book looks so interesting! Borders and bindings are part of the quilt that I would like to enhance. I have never had the opportunity to take a class from Mimi, but I feel so inspired just looking at the cover of Baltimore Blocks for Beginners! Congratulations Mimi!!!! I have been reading about Mimi, and I am quite impressed. Congratulations Miss Mimi! I adore your book "A Quilter’s Diary" so I know both of these books would be a welcomed addition to any quilter’s library. Congratulations, Mimi! Well done, and very much deserved. I have Bed and Breakfast Quilts and have made Honeymoon Suite for a granddaughter and her husband (they love it!) and I always enjoy reading articles about and by her in the quilting magazines. She is a real inspiration! I have not had the pleasure of having one of Mimi’s book. I would love to win two of her books. I’ve consulted my first edition copy of Happy Endings many times through the years. I’ve known Mimi for many years. I am always amazed by her work and so lucky to know her. Although I have tackled a quilt project, I am actually a Kiltmaker. I understand and appreciate fine needlework. I’m proud to know her and I know she definitely belongs in the Quilters Hall of Fame. Congratulations, Mimi! Congratulations, Mimi Dietrich, on this well deserved honor! I have A Quilters Diary, it’s been a valuable resource for me dozens of times. Thank you, it’s one of my favorite books. I have to agree, Mimi’s work is Beautiful. I am just starting to do hand applique. I would love to win her book. I have taken Mimi’s class on Finishing School and Hand Appliqué. I learned so much from her classes, and I love her teaching style. Congratulations to her. She is very deserving of the honor. I was very impressed by Mimi when we worked together on the replica U.S. flag that commemorates the 200th anniversary of the Star Spangled Banner. Mimi figured out how to create the huge (2 foot!) "stars" on the flag, and supervised many volunteers. I loved to listen to her giving patient instructions when the general public came in to add "their stitch" to the flag. She was wonderful with both the children and the adults. Mimi’s a truly genuine person with great organizational skills and a delightful demeanor. When she spoke at our quilt guild she passed out multiple "samples" to each of us to help explain her techniques, and she had enough samples for 50+ people! That kind of dedication is likely the key behind why she’s such a great teacher. It was an honor to work with Mimi, and I’m delighted that she’s received this recognition! I borrowed a friend’s "Happy Endings" when I first started to quilt seriously. It was amazing. I am now engaged in doing hand applique–big legacy type quilt I am going to keep. Thank you for the opportunity to win these books from an especially talented, kind and generous individual. Congratulations, Mimi! Mini has inspired me to keep on with my hand applique. I love her patterns and the instructions in her books are so easy to follow. She’s one of my favourites! I am just starting my applique faze I have been quilting for 9 yrs Congratulations to you and all of your acomplishments your students are blessed. I am inspired by her fabulous appliqué! Congratulations Mimi! I would love the Baltimore Blocks for Beginners. I do a little applique but nothing as beautiful as this. Thank you for this chance to win the book. I love Mimi. I have taken a class form her and also know her. She and Norma Campbell are funny together and I remember her telling me about the elevator story. She is a great and beloved teacher, quilter, and author. I only wish I could be there when she gets inducted. Mimi and Norma are the reason I came to Martingale Publishing to get my book published,"Team Spirit" and I hope to have close to the success in the quilting world that Mimi has had. Congratulations! You deserve the Quilt Hall of Fame Honor! Congratulations Mimi! That’s such an honor! Congratulations to Mimi Dietrich! I haven’t yet taken any classes from Mimi, although, I’ve been "eyeing" her Craftsy "Happy Endings" class. I’d love to win a copy of her actual book! Looking for to congratulating you in person at "Celebration" in Marion, Indiana next weekend. Congratulations Mimi! Her quilts are beautiful and now that I know she has a class on Craftsy I will be signing up. I have found all of the applique guidance in Mimi’s books so helpful — particularly providing different techniques. No, I’m new and I his is the first I’ve heard of her!! It’s so cool. Have admired her work for years. I love applique and have done a Baltimore album style design for my parents 50th Anniversary. I still love all 2, 927 prices done with silk thread and by hand. Congratulations Mimi, a well earned award – enjoy the appreciation from your admirers! Hooray for Mimi! I love her beautiful applique and her tips and tricks for bindings, borders, etc… are wonderful. She will be a great addition to The Quilter’s Hall of Fame! I have not had the pleasure of taking a class taught by her, but I would love to someday. Not many nationally know teachers come to my area, (Montana). Congratulations, Mimi!!! I am totally inspired by the applique method of Mimi’s. Her methods and quilts are timeless, always beautiful and in. Her quilts show love and attention to detail. They are beautiful. I would love to win two of her books. I wish I could meet her in person. Congratulations! What a wonderful honor to a wonderful lady. I haven’t taken a class, but it looks like it would be fun! Congratulations to Mimi! I have one of her early Happy Endings books and have found it to be invaluable when trying different binding techniques. I bought Happy Endings when it first became available and found all the hints and tips SOOOOOO HELPFUL! I’ve always wanted to try Baltimore blocks, so I wish I was in her class, but knowing how she does things, her Baltimore book will truly help get me started well. Congratulations. What a wonderful honor. Your work is beautiful. Congratulations, Mimi! Because of this article I am now officially intrigued to read all of Mimi’s books. Making a Baltimore Album quilt is now on my docket. I haven’t taken any classes with Mimi and am not familiar with her books but just looking at those two books I think they would both be great for a new quilter. I would love to be able to finish my quilts expertly. Congratulations Mimi. Mimi speaks at my guild every couple of years and it’s always a wonderful meeting. Congratulations Mimi! Always always have great ideas. Books are crystal clear and whet the appetite to want to,try something new…am feeling lucky. Congratulations Mimi! I have fond memories of a class I took with you on dimensional flowers at That Patchwork University in the early 90’s. You were so friendly and personable. Congratulations Mimi! I still use your binding book all the time. There is an applique book that is one of my firsts and favorites with childrens quilts in it. You are one of the best! I haven’t taken a class from Mimi, or read one of her books, but I would love to. Congratulations Mimi. I have happy endings. A great book to learn finishing quilts. Congratulations to Mimi! I really enjoyed her "Finishing School" class on Craftsy. She had so many good ideas. Congratulations, a well deserved honor. Would love to win a book. Congratulations! Haven’t taken any online classes due to too slow internet! Hope to someday when we get a better internet provider out in the tulies! Thanks for the chance to win two of your books. None of Mimi’s books reside on my library shelves. I was just beginning in quilting when I looked at her books and couldn’t imagine that I would be able to conquer the technique. Even though a few years have passed, I’m still doubtful that I can do it justice. I have taken a class at Pickering Farms in Richmond NH with four of my quilting buddies. It was a four week class and I learned a lot and loved it. Hand applique takes more time but the best feature you can take it with you for those boring times when you have appointments. Congrats to Mimi! I have the first happy endings book and love it! Congratulations, Mimi! How exciting for you. As a fairly new quilter, I can’t even imagine rising to your level of perfection and commitment. You go, girl! Congratulations, Mimi! I would love to take a class from her someday. I like to machine applique and have done a little by hand. Thanks for the give-away. I am a new quilter, mostly squares and rectangles and straight sewing. I have taken beginner classes at my local quilt shop and have seen Mimi’s books on display. From what I have read, she explains things so simply and you feel confident diving right into a project.Her work is fantastic and anyone would benefit from her classes. Would love to take a class with her personally. Maybe someday if I see my way to Baltimore. Thanks for the giveaway. Have never had an opportunity to take a class with Mimi! My aunt who was very good in appliqué inspired me to learn – she passed away last March so now her expertise is gone. Congratulations on having a body of quilt work that is stellar, it’s an accomplishment to be proud of. You have inspired and helped so many quilters. I took a class with Mimi back when Baltimore Bouquets was published. I loved it so much I made a bed-sized quilt using all but two of the blocks. Mimi is one of the nicest, most generous teachers I have ever had. I would love some day to make a Baltimore album kind of quilt, but don`t yet have enough confidence. Maybe one of these books would help me. Congratulations! Thank you for the chance to win your books. I would love to be able to applique so beautifully! Congratulations Mimi – you’re an inspiration to us all! I own "Favorite applique quilts" and have read others from the guild and public libraries. What an inspiring teacher! Very deserving of this special award. I have an earlier edition of Happy Endings and it is absolutely indispensable! Thank you Mimi! And now we need to get modern quilters to buy it, and learn how to do a proper binding! I just had to see a picture of that sweet blue bird and knew who was going to be our next most honored quilter and isn’t she in great company? I’m so pleased for Mimi she has been a true inspiration to my quilting journey. Her book "Happy Endings" taught me how to make my quilts look properly finished. Happy Sewing Mimi and congratulations! When I first started quilting, over 20 years ago, I saw a photo of one of Mimi’s baltimore album quilts and was totally amazed and inspired! You inspired me to try the "A" word..while afraid ans apprehensive when I started now i love it..it is no longer the "A" word but fun. I haven’t done much applique, but would love to learn. I’ll have to get one of Mimi’s books. Good Going you are very talented & deserve to be in the Hall of Fame. Mimi’s Craftsy class is on my wishlist. I’ve borrowed a book of hers from the the library and enjoyed reading it. I adore Mimi! I’ve taken her 2 Craftsy classes and own several of her books, including these. Her Baltimore album quilts are what inspired me to learn quilting when I retired. It would be a dream come true to meet her in person. If I win her books, I know a beginning quilter to whom I’ll give them. Mimi, you’re so deserving of this honor! Congratulations! Congratulations Mimi! So well deserved! I have admire your Baltimore Album designs–congratulations on your honor! I have several Mimi books and I’m signed up to take her upcoming 12 month long class — so excited for you Mimi to be recognized for your talent and generosity. I would love to learn from Mimi! Congratulations on the Hall of Fame! I`ve taken both Craftsy classes with Mimi and have been fascinated with so delightful classes, thanks a lot Mimi, you are either a wonderful person and teacher. I took a class with Mimi many years ago.when I mentioned her name to my nursing school roommate,she told me she played bridge with her. I met Mimi at the Grand old Opry hotel at the Nashville show.my friend kept me up on Mimi’s adventures. I have everyone of her books? I have loved applique and can thank Mimi and her classes and books for that.it is wonderful that she is being inducted into the hall of fame! I have never taken a quilt class or made a Baltimore quilt. I have always admired them but they always looked to complicated even. It would be reat to receive one by a Hall of Famer. Congratulations to Mimi! What a succsess and so great that we can learn from all these books and patterns. I haven’t been a lucky owner of her books or classes. But would just love to,lol! Congratulations Mimi! Your quilts and your books have provided inspiration for me over the years. I first saw one of your Baltimore Quilt books in our local library many years ago. I dreamed of doing applique work like that, but didn’t feel I had the ability or time. I was drawn back to that book time and again, till I had to try hand applique. I loved it! Congratulations, Mimi. What an honor! I don’t have any of your books, nor have I had the opportunity to take a class from you. I have done only a tiny bit of applique. If I lived in the Baltimore area, I would take your Baltimore class in a heartbeat. A year long class would be a fantastic way to learn applique. I remember falling hard for a kit for one one Mimi’s patterns in a shop I worked in. I kept walking by it and finally decided it had my name on it and took it home! Mimi doesn’t know it, but she started me on my quilting journey. I was first attracted to this craft or art because of her Diary book/quilt, and it is the first project I started as a brand-new quiltmaker. Her book took me through the techniques and language of quilting that I needed to learn, with true "written for a beginner" instructions, and made even the most difficult blocks fully achievable, even to such a novice as myself! Congratulations, Mimi, on recognized Hall of Fame status! You truly deserve it! I’ve borrowed Mimi’s books from our library and after 14 years of piecing, I’m learning applique and enjoy it. Congratulations on her honor…so deserving. Congratulation to Mimi! Her Happy Endings book is one of my go to resources when I need inspiration to finish a quilt. Congratulations Mimi…an honor well deserved. I have taken several classes from Mimi and Norma at Quilt Odyssey. I have several books in my collection. I am also a member of her Craftsy Class. She and Norma are a hoot at Quilt Odyssey. I am also fortunate to be able to attend her induction into the Quilters Hall of Fame. My friends and I are very excited about our trip to Indiana where we will be spending a few days with another quilting friend. I am inspired by the "Baltimore Blocks for Beginners" quilt book. 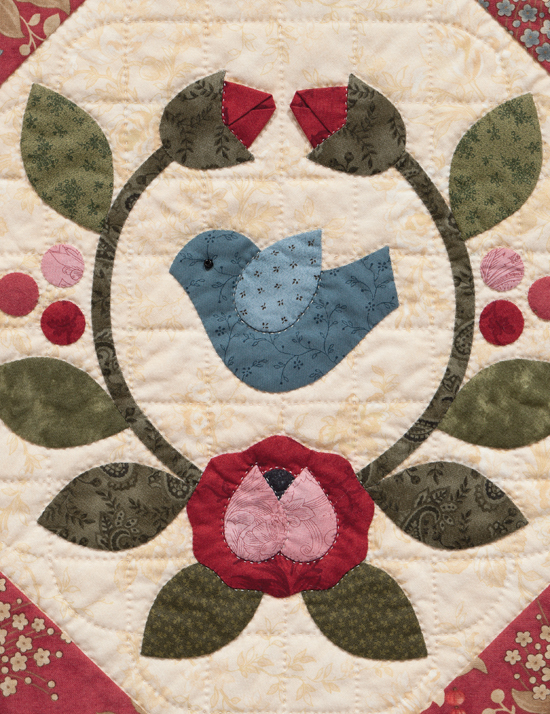 The featured block with the blue bird encircled with flowers is adorable. I haven’t taken a class but I have some of her books. I love her sense of style and color. She seems like someone id love to know personally. Congratulations Mimi! We are all proud of you! Congratulations to Mimi!! I was indirectly inspired by Mimi at a Fourth of July party, as I noticed the hostess had two Baltimore quilts hanging on the walls of her living room. I not only stared at them for probably longer than was polite, but I dragged some other people into the living room to see them. Unbelievable. Then I learned the woman had HAND-quilted these beauties while she watched sports on TV with her husband. I went home feeling so guilty that I vowed to never sit in front of the TV without something to work on. I’d love to learn to produce something like that…even if only a bed runner to start! Congratulations Mimi. I am new to this Quilting life and have not used any of your books YET! Would love to win them to get me started. Even the cover of "Happy Endings" is inspiring! I would love to have it. Congrats! I’ve never done a Baltimore quilt but the beginner book would inspire me! I love her Baltimore quilts. They are some of my favorite quilts. Congratulations to Mimi. Love Mimi’s Happy Endings book!! Congratulations for furthering the field of quilting! No, but I do see one in the future. I must find a copy Baltimore Blocks for Beginners book. Congratulations to Mimi! I have not taken any of her classes, but I do have some of her books. These are beautiful quilts. I have not taken any of Mimi’s classes, but sure am impressed with her work. I’ve enjoyed her books and LOVE to try her techniques and am still trying to master them. Congratulations to Mimi! Congratulations Mimi. Your book so inspiring. The Christmas ones look like something I would love to try. I would like to congratulate Mimi on this well deserved honor, not just because she is a gifted quilter and teacher but a wonderful human being, as well. My sister-in-law Nancy Camp used one of Mimi’s patterns "May Angels Watch Over You" (Growing Up With Quilts, Mimi and Sally Schneider) upon the occasion of my daughter’s death in 2000, soon becoming one of my most prized possessions. When we approached Mimi about using the images for cards to sell as a fund raiser for research in finding a cure for Cystic Fibrosis, she readily agreed and even met Nancy and me for a friendly lunch. I will never forget her and Sally’s kindness during this challenging time. It is a telling way in which people living great distances apart (Sally and I in New Mexico, Mimi and Nancy in Maryland) can work together to have a meaningful effect on others. Thank you, Mimi! Enjoy the applause! I love her books! Happy Endings is great! Congratulations to Mimi! I have several of her books and took a class from her many years ago-I still love applique!